Panic! 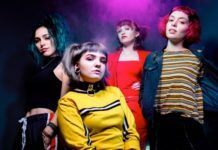 At The Disco have released a music video for the title track of their upcoming album, Death Of A Bachelor. 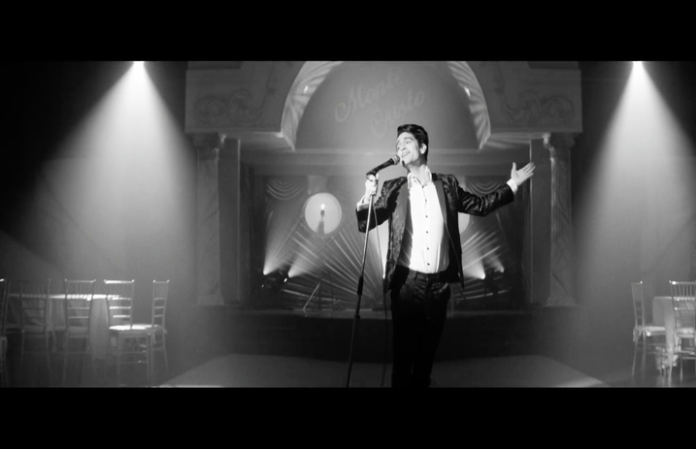 Check out Brendon Urie in the full black and white, Vegas cabaret style video below! “Hello, beautifuls. 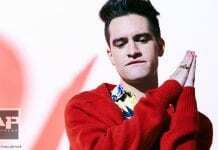 It’s me, Brendon. I wanna tell you that I love you. Right now, I’m sitting at my piano. The same place that I wrote a lot of my new album “Death Of A Bachelor” (out January 15th on the internet or anywhere CDs are sold if you’re someone who leaves their house; ::end of shameless plug::). And, actually, I’m sitting where I wrote the song of the same name. Holiday decorations at my back. Fire burning low. ‘A Muppet Christmas Carol’ playing in the background. Maybe it’s the holiday spirit or maybe it’s this Disney movie, but I just wanted to tell you how much I appreciate you and can’t wait to show you what I’ve been working on. So here’s a video I shot for the song “Death Of A Bachelor”. Something to hold you over until the album comes out (again, it comes out January 15th, just in case you were wondering or you just forgot). Anyway, I hope your holiday break is awesome and that you can deal with your family’s awkwardness with grace and patience. I love and appreciate you. Happy new year! Death Of A Bachelor is due January 15 through DCD2/Fueled By Ramen. Pre-orders are available here now.